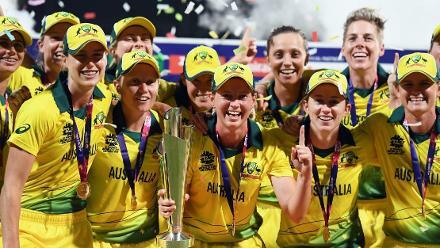 Barring the blip against India in the group stage, the Meg Lanning-led side were thoroughly dominant and gave further evidence of their class on the way to the ICC Women's World T20 2018 title. 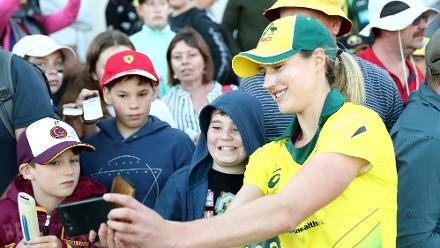 Australia's campaign began with an emphatic 52-run win against Pakistan, Alyssa Healy lighting up the match with a fiery 48. Beth Mooney and Meg Lanning also made sizeable contributions in Australia's total of 165/5, before their bowlers restricted Pakistan to 113/8. Highlights from Australia v Pakistan in the opening day of the Womens world T20 2018 in the West Indies. Ellyse Perry took two wickets and bowled economically to help restrict Ireland to 93/6. Healy sparkled again with an unbeaten 31-ball 56 to help Australia canter past the target in 9.1 overs with nine wickets to spare. 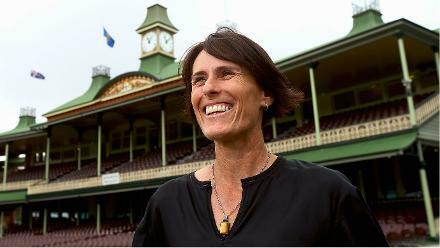 Against New Zealand, Healy again showed her class, composing a measured 38-ball 53 to help Australia to 153/7. Megan Schutt led the defence with 3/12 in three overs, while Sophie Molineux and Delissa Kimmince chipped in with two apiece to bowl New Zealand out for just 120, thus securing qualification to the knockouts with a game to spare. Like Australia, India too had secured semi-final qualification, and it was a battle for the top spot in Group B. India were simply suberb on the day and put Australia away by 48 runs. 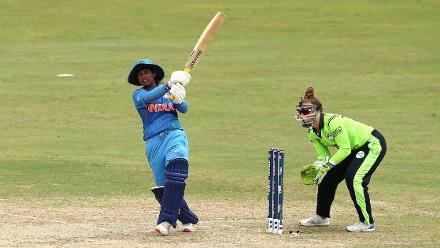 Smriti Mandhana scored a fine 83 to power India to 167/8, despite Perry's impressive 3/16. Australia's batting seemed a little exposed in the absence of Healy, who was unable to take the field after suffering a mild concussion after an on-field collision with Schutt. Perry did well with the bat too, scoring an unbeaten 39, but the other batters just didn't turn up as Australia were bowled out for 119. Australia were back to their winning ways in the knockout stages, humbling hosts Windies by a massive 71 runs in the semi-final. Healy, having recovered from the concussion, again starred with a fantastic 46, and contributions from Lanning and Rachael Haynes took Australia to 142/5. Perry struck two blows as did spinners Georgia Wareham and Ashleigh Gardner to bowl Windies out for half of what they had scored. Then in the final, Australia were thoroughly dominant. 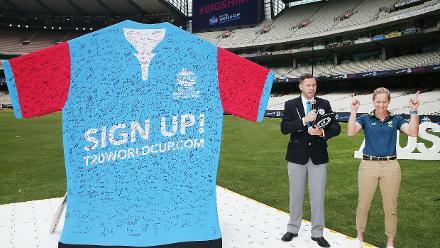 The bowlers set the game up for Australia by bowling England out for 105. Gardner took three wickets, while Wareham and Schutt shared four between them. 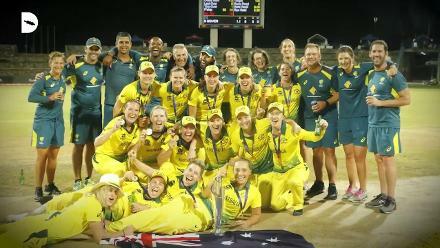 Gardner then capped off the perfect game, top-scoring for Australia with an unbeaten 33 to see them over the line with 4.5 overs and eight wickets to spare. Lanning and Healy also chipped in with 20s. Apart from the prestigious trophy and a bagful of fond memories, Australia have plenty of positives to take home. Healy's form at the top of the order was one of the biggest highlights of the tournament. In four of the five games she batted, she bagged the Player of the Match award. Her wicket-keeping was sharp too. In the bowling department, Austrlia have very little reason for complain. The likes of Schutt and Perry are stalwarts. And it was encouraging to see how well the youngster Wareham, Gardner and Molineux performed, even under pressure. 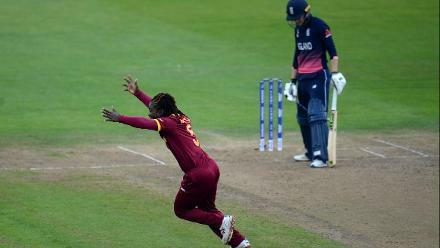 Australia's fielding was a tad sketchy in this tournament – especially in the final – although they are generally a very athletic side. That is one area Australia will want to fine-tune. In the batting, Australia will want the middle-order to develop a slightly more aggressive game in T20Is. With the likes of Lanning, Villani and Perry occupying those spots, it shouldn't be too difficult to make that adaptation. Healy, named the Player of the Tournament, was absolutely unrivalled in terms of consistency as well as impact. The only match Australia lost was the one she didn't get to bat in. Even in the final, she laid down a solid foundation in a modest chase with a knock of 22. In all she scored 225 runs at an average of 56.25, including two fifties and a couple of forties. She has responded exceptionally well to her role at the top and will want to continue making an impression.